Do you ever wish you could be aware of your surroundings, but also able to keep listening to your favorite band or participate in that conference call? The Bose SoundWear Companion is the perfect wearable technology for you. Stay open to world while you stay connected. Learn more about one of our favorite wearable technologies or stop by an InMotion store the next time you travel, to get a demo from one of our tech experts. If you’ve ever wished for a headphone that sounds just as good off-ear as it does on-ear consider your wish is granted! The Bose SoundWear Companion blurs the lines between the speaker and headphone. Bose uses it’s Waveguide technology to create a deep and full sound all around you. The lightweight design of the SoundWear Companion Speaker (only 9.4 oz!) 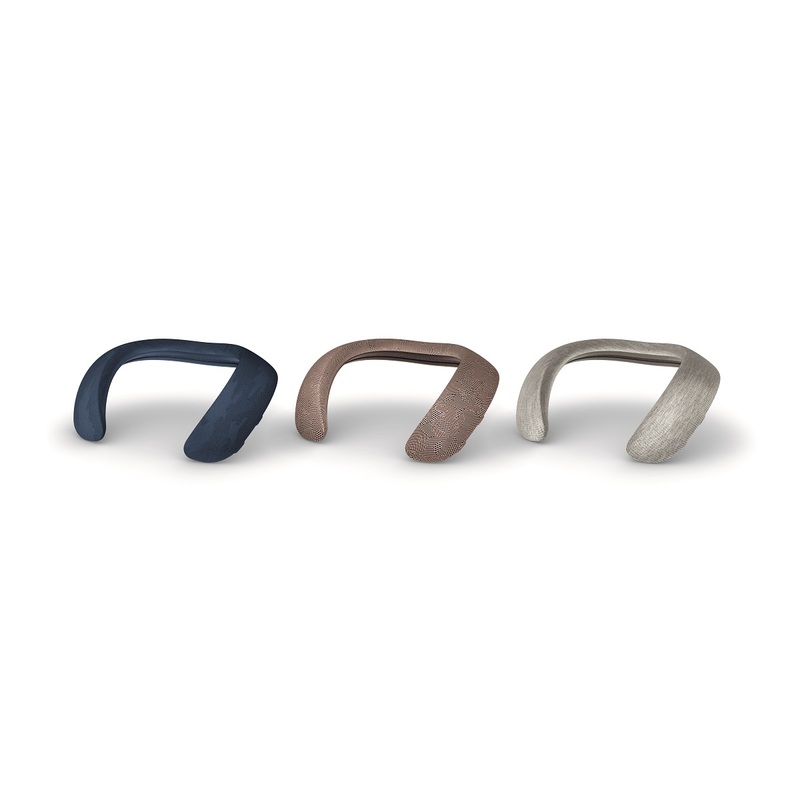 utilizes the technology through its flexible neckband by catching the air flowing into it. This helps to create a fuller bass and more detailed sound. The SoundWear Companion Speaker is great for just about everything from working out to those long days in the office with its 12-hour battery life. You won’t have to worry about disturbing your co-workers either, The Bose SoundWear Companion Speaker isolates and directs the sound right into your ear using its waveguide technology, so you don’t have to worry when listening at a high volume in public. The SoundWear Companion Speaker is also truly hands-free with its voice-controlled Bluetooth connectivity and the haptic feedback you receive when getting a call or text. If you need any help with your device check out the Bose Connect app. Unlock your SoundWear Companion Speaker features and personalize your listening experience through the app so you can spend less time adjusting your settings and more time enjoying the full sound. The SoundWear Companion Speaker couples it’s innovative technology with an array of accessories. Included in the box is the SoundWear Companion Speaker, a USB charging cable, and a simple, sleek black cover sleeve. If you still have questions about the SoundWear Companion Speaker, don’t hesitate to ask our helpful staff at your local airport InMotion store. We’ll help you with whatever question you have about your device. How do you feel about the SoundWear Companion Speaker? Use the #soundwear and tag @InMotionstores and @Bose, to tell us about your experience with the SoundWear Companion Speaker.